17747100: Main harness for the 850 T.
The 850 T wiring harness has long been unavailable. 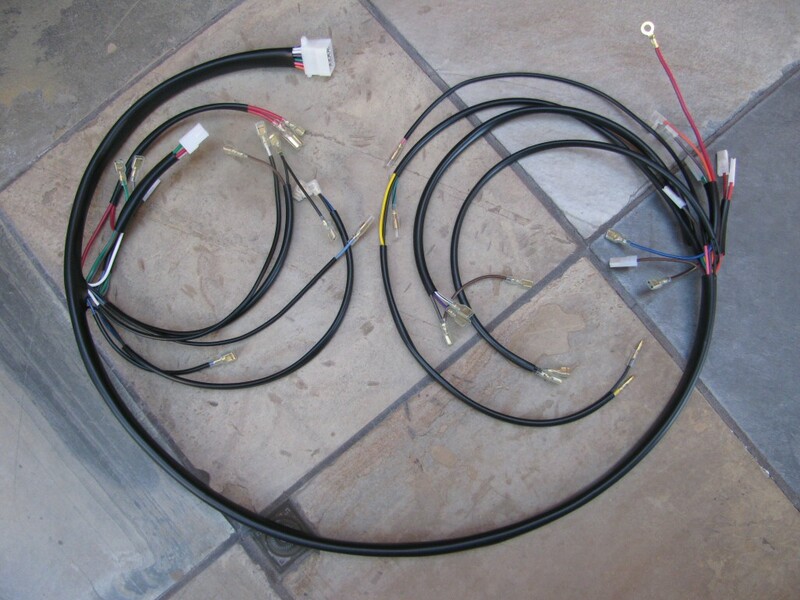 I painstakingly replicated an original main harness from a Moto Guzzi 850 T. In construction, I use the same gauge of wire, the same colors and tracers (stripes), the same length and sheathing, the same terminals, etc. 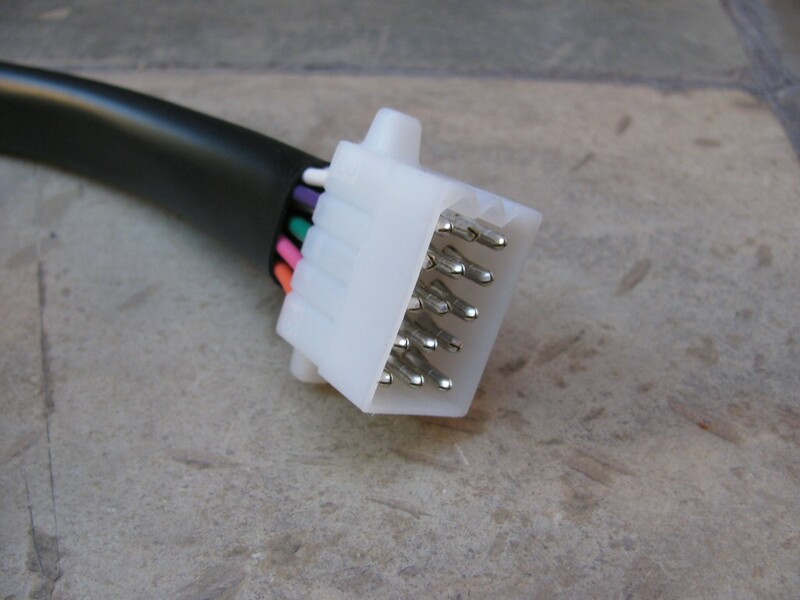 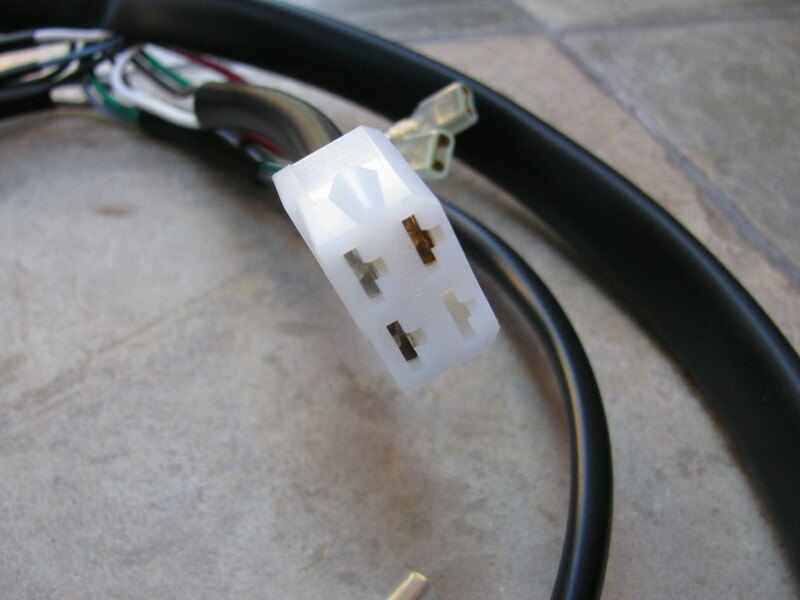 All terminals are of the double crimp, strain relief variety. Connection at the ignition switch.